Let's face it, exercise is good. Walking, running, working out is all very positive for weight loss, fitness and well being. Have you ever considered the benefits of group exercise? Well, it has benefits over doing your own thing. 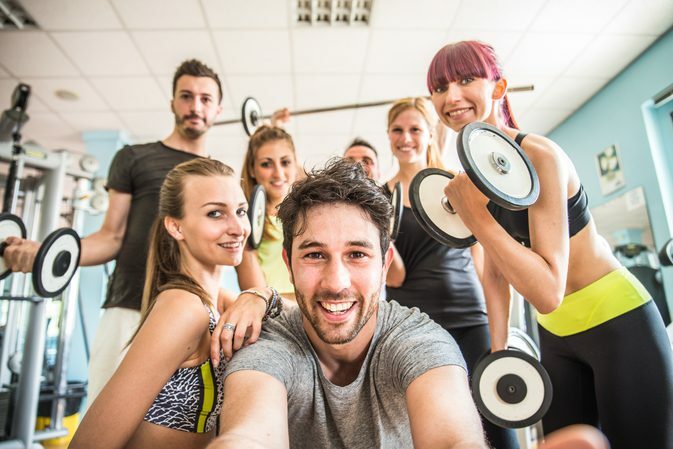 Research published in the International Journal of Technology Assessment in Health Care found that people are more likely to stick to their fitness goals if they work out in groups. The study was undertaken by Anglia Ruskin University regarding 18 healthy adults walking in groups compared to others who walk alone or simply don't walk at all. Those who took part in group exercise continued over six months. Did you know that the World Health Organisation recommends that adults undertake at least 150 minutes of exercise a week? I'm sure you know plenty of people who walk less. In fact, many people seem to walk less than a few minutes a day. What is that doing to their health? Walking in a group is great exercise. Accessible to communities far and wide. I'm sure there are great locations you can explore in your community or surroundings. Get a group of new or old friends and climb the highest hill in your area and have a picnic at the top. Enjoy the fresh air, wildlife and company of others are great for relaxing body and mind. Want to take it a step further. Why not combine walking with camping? It's a great way to challenge yourself and re-live those childhood days. One of the main reasons people give up exercise is that it gets boring. We've all been there and the same old routine zaps your energy even before you start. You look outside and the weather doesn't look too rosy and that's enough to turn into a couch potato. That's why you need to be mindful. As soon as you start to feel bored with your routine - change it! It is much better to take bite-size chunks of exercise than kill yourself with an endurance test. Make a swimming membership monthly rather than annual. Something as simple as walking clockwise and anti-clockwise can make a journey seems completely different. Take a yoga class for a change. Many give a free lesson to see if it is your thing. Zero cost. Meet new people. It might be so inspiring you just have to take more classes. Keep changing your options and you will never get stuck in a rut.